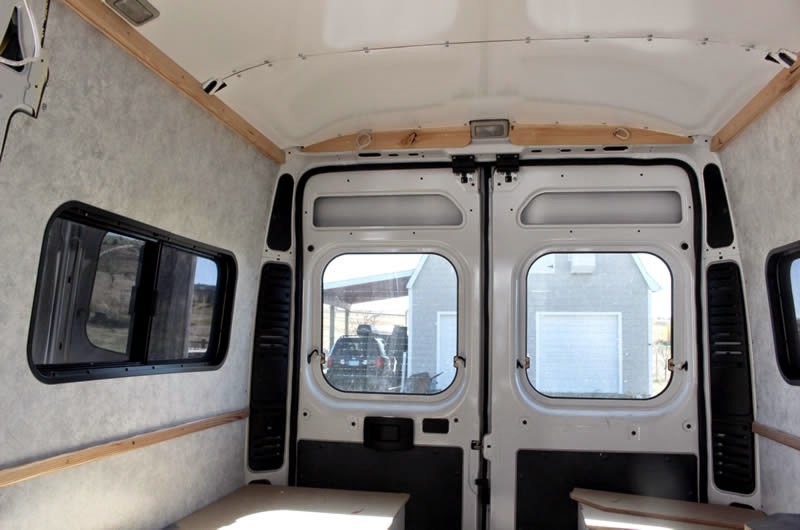 As I described a while back when we are working on a fuel efficient and lower emissions RV-Camper Van. 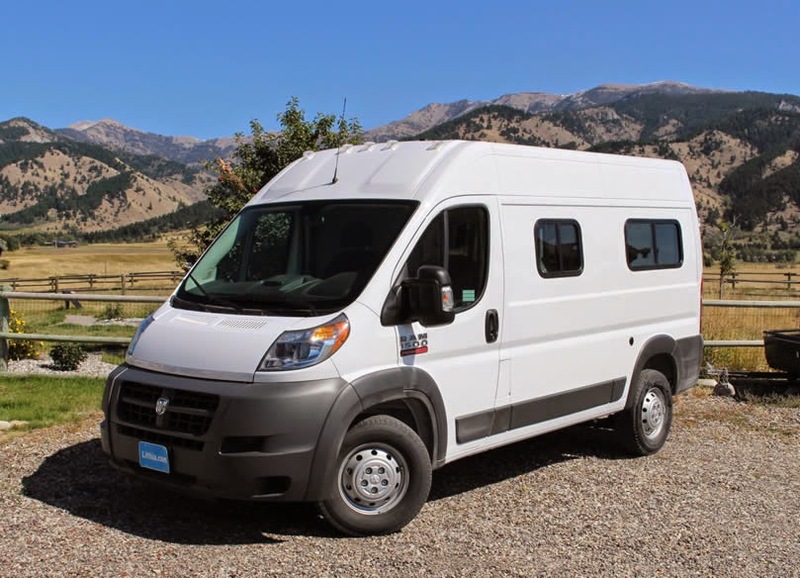 Ours is based on a converting a RAM ProMaster van into a self-sufficient camper. Last time we gave an initial description of our thoughts and deeds so far on the conversion -- this is an update on what has been done since then -- its getting pretty close. The electrical system has been completed except for the installation of the solar panel on the roof. 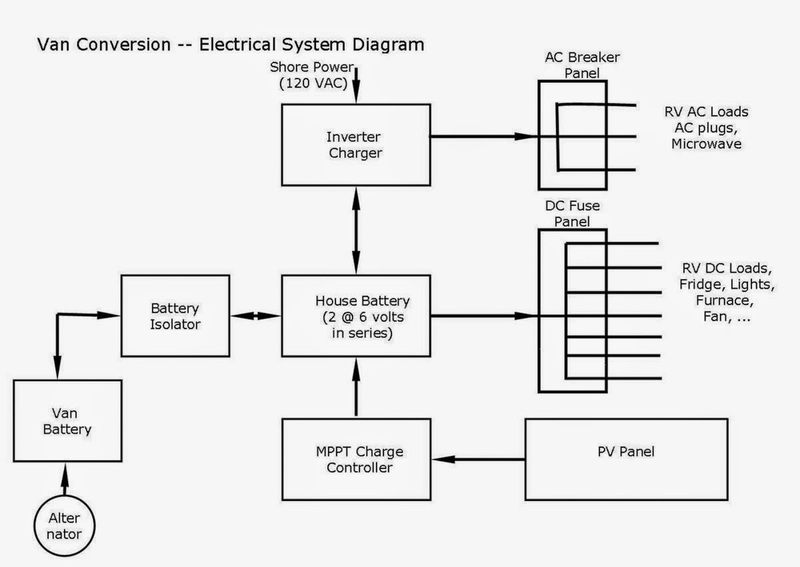 Overview diagram of the electrical system. controller, breakers and distribution panel. 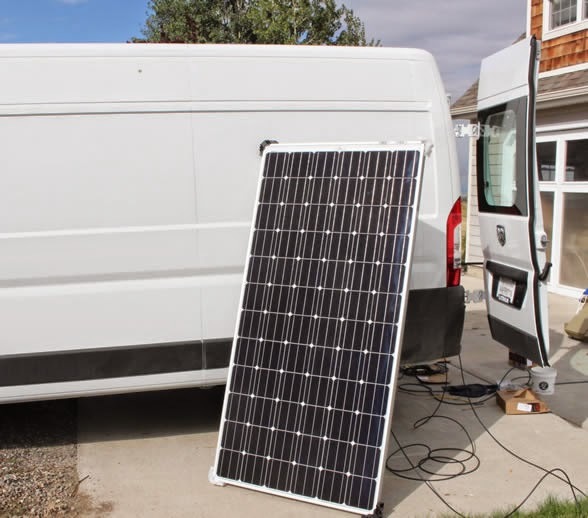 Testing the solar panel (which will go on the roof) with rest of system. 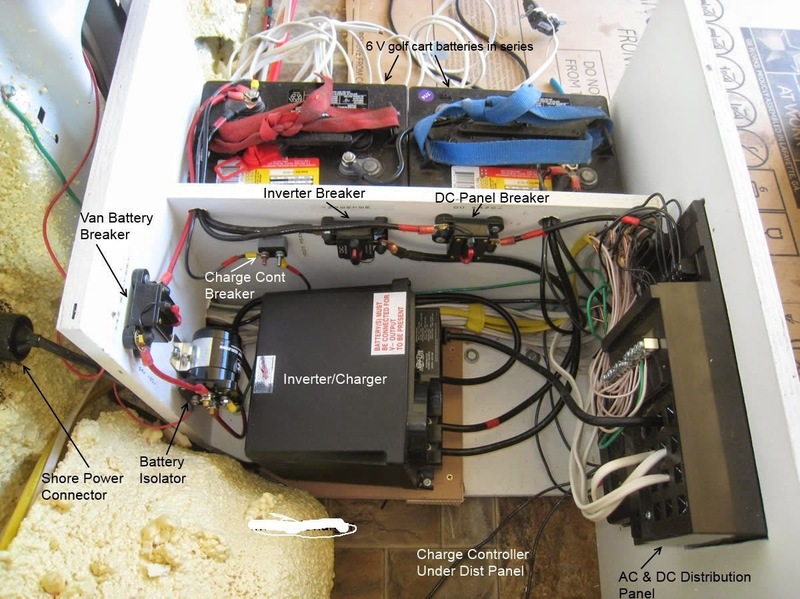 The electrical system provides power as 12 volts DC or as 120 volts AC from the batteries, and provides for charging the batteries from solar, or the van engine, or shore power. The floor and the paneling for the walls and the ceiling are completed. The floor incorporates an inch of polyiso rigid board insulation and is finished off with some conventional kitchen flooring. Insulation board and underlayment going in. 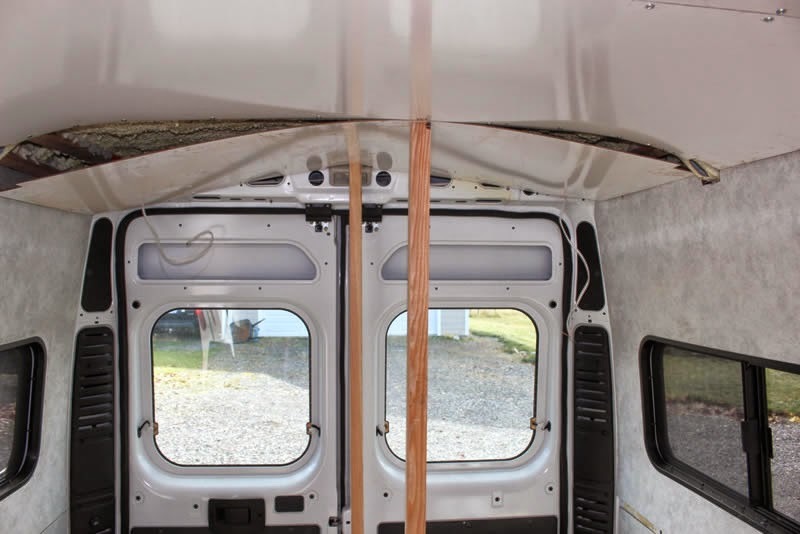 The wall and ceiling paneling are both hardboard paneling with insulation underneath. Just about completed paneling with trim. We added three windows. Nothing like cutting big holes in the side of your new van! kind of breezy in this configuration. Thanks to Gordon's post, we are probably going to go with a homemade composting toilet. 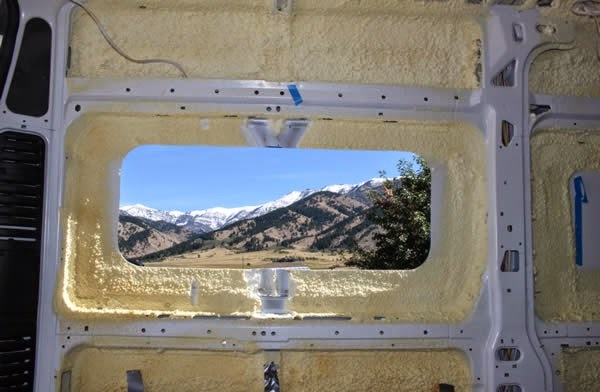 Its the time of year to think about doing a solar heated stock tank that will save a lot of ice breaking and electricity for tank heaters over the window. 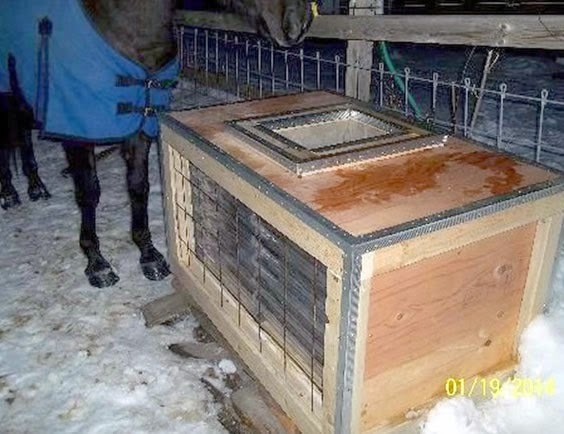 Karolyn has worked out a nice design for a solar heated stock than that performed well over the very cold winter last year in Minnesota. South wall of tank is solar collector that heats tank. 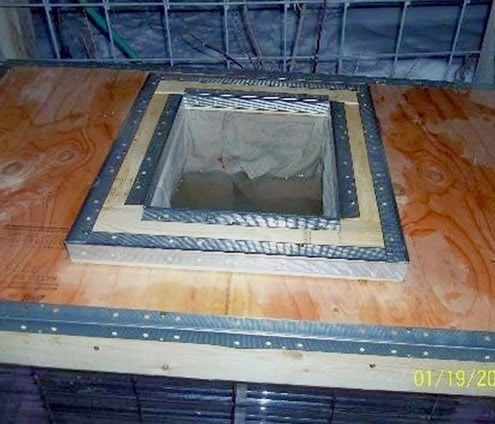 Drinking opening with flaps provides improved freeze protection. 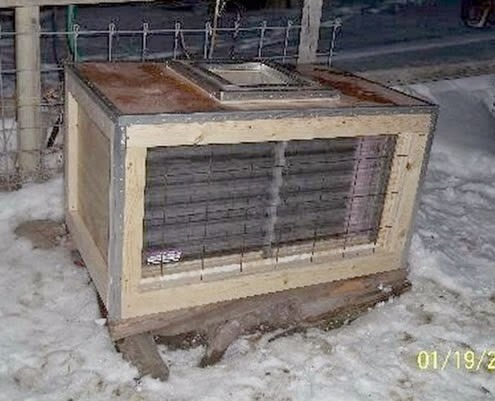 This design is rugged and provides good freeze protection.